If you are reading this post, chances are you are pursuing an ABA therapy job. You may have a lot of experience working in the field, or you even have your BCBA®. Maybe you are just beginning your journey in this field and have no experience at all. Either way, deciding on a job in the field of ABA therapy can be overwhelming since there are a multitude of options out there. You already made the first step by checking out our website and doing some research! First and foremost, many individuals who work for Attentive Behavior Care (ABC) grew their careers within the company. Current full-time BCBA’s® began their careers working part-time with ABC as technicians on one or two cases. As their interest grew in the field, they began pursuing their education in ABA, obtaining their degrees, and becoming Board Certified Behavior Analysts®. 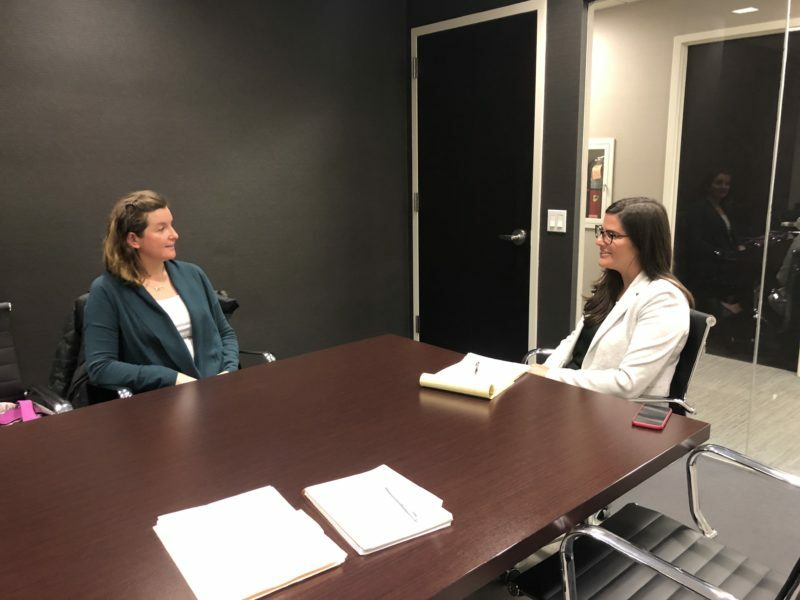 From there, they pursued their career goals with the help of the clinical team and obtained full-time positions as supervisors overseeing a multitude of cases. ABC helps grow professionals and fosters long-term professional goals. ABC has been recognized as a Behavioral Health Center of Excellence since 2016 and was recently awarded a two-year re-accreditation from the BHCOE. This award recognizes the company’s integrity and the effectiveness of the services they provide. Working for a company that achieves substantial recognition in our field provides a great sense of pride and admiration from the employees who work within it. At ABC, you can be proud of where you work. Working within ABC you will also have access to top-of-the-line data collection systems and virtual clinics. Rather than completing data on paper, fussing with clipboards, and managing a multitude of program sheets, all data is stored in a virtual database allowing for easy access of all programs, targets, and data collection procedures. You do not have to worry about forgetting anything because it is all at your fingertips! ABC also provides all staff with their own personal company tablets, and an on-site training team to assist with any difficulties you may have. Another great asset of ABC is their support teams. Whether you are a technician starting your first case, or a BCBA® who has been in the field for years, the science of ABA therapy requires an extensive amount of collaboration. ABC provides each case with a case coordinator, an individual assigned to help maintain schedules, consents, and communication between families and their staff. 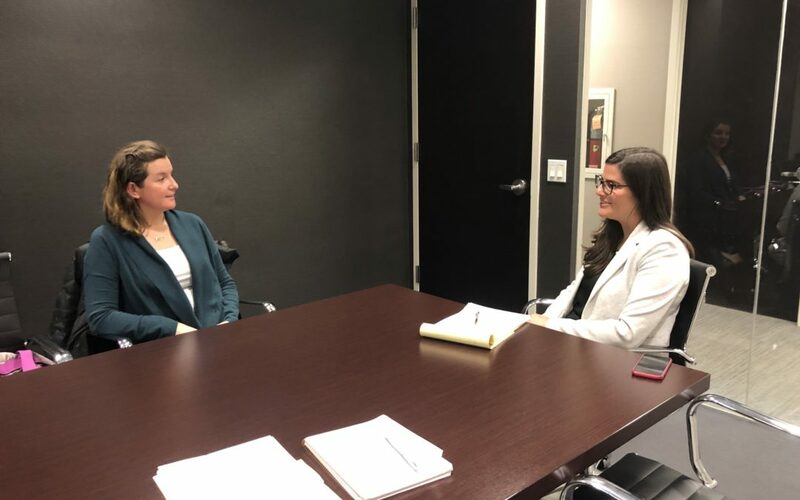 In addition to the coordination staff, the offices consist of a clinical director who is assigned to help collaborate and respond to clinical questions concerning your specific cases. ABC also offers part-time and full-time opportunities, in multiple states. Schedules are tailored to your preference in location, times, and skill level. Similarly, the company fosters an environment that allows individuals to grow and pursue their long-term career goals from start to finish. Whether you are just beginning your journey or are a seasoned professional in the field of ABA therapy, ABC will support you on your journey to growing your skills and offer you experiences that will last a lifetime. That is why I love working at ABC! Are you interested in joining the Attentive Behavior Care team? Apply today! 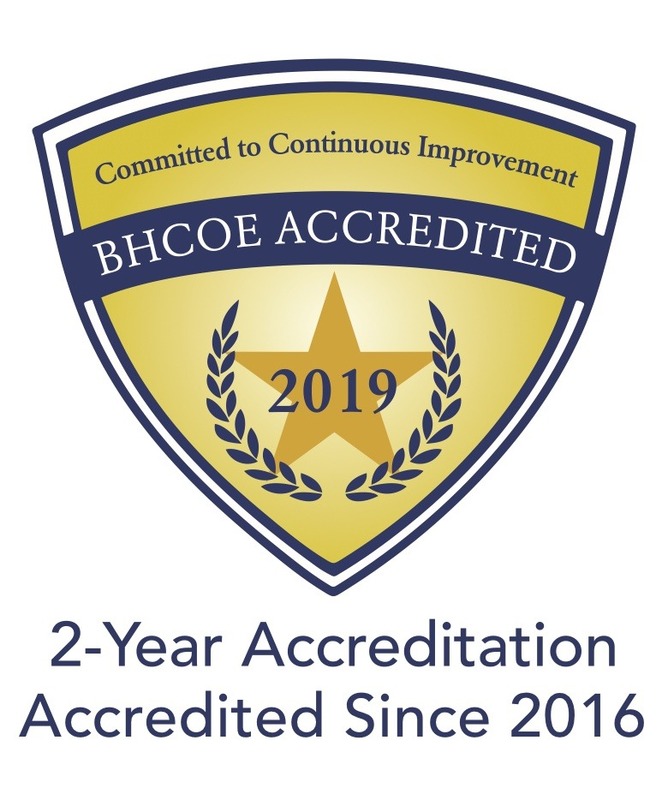 BHCOE Accreditation is the only ABA-specific accreditation. It provides feedback regarding clinical best practices, staff satisfaction and turnover, and consumer protection. Acting as a third-party, BHCOE systematically measures and reports on existing quality criteria in the behavior analysis community using standardized methods and practices, and accredits only those service agencies that meet these standards. What is the BHCOE Accreditation? The BHCOE Accreditation is a trusted source that recognizes behavioral health organizations committed to continuous quality improvement. BHCOE offers a third-party measurement system that differentiates and provides independent feedback on clinical quality indicators. The BHCOE criterion features standards that subject-matter experts developed to measure effective applied behavior analysis services. 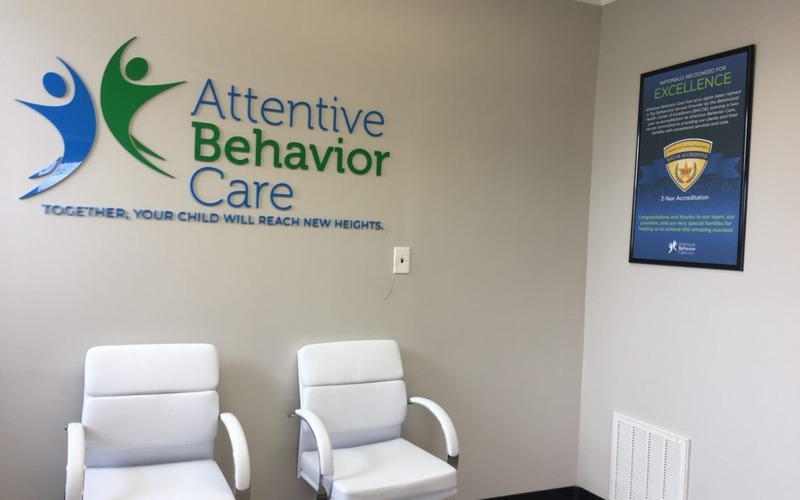 Attentive Behavior Care is proud to report that we have received a two-year reaccreditation! BHCOE acknowledged us as a behavioral service provider dedicated to continuous improvement in Applied Behavior Analysis (ABA). BHCOE Accreditation recognizes behavioral health providers that excel in the areas of clinical quality, staff qualifications, and consumer satisfaction. These areas are measured through a wide-ranging audit, including interviews with agency clinical leadership, in-depth on-site observation, a detailed staff qualification review, anonymous staff satisfaction survey, and anonymous consumer satisfaction survey. We are very proud to be comprised of behavior technicians, supervisors (e.g., Board Certified Behavior Analysts® (BCBAs®), Licensed Behavior Analysts (LBAs), and a strong administrative team who work together to provide ABA services for individuals with Autism Spectrum Disorders (ASD). We specialize in providing intensive, individualized, treatment rooted in the principles of ABA in order to meet our patients’ needs. Our treatment plans focus on increasing skills that will lead to increased opportunities, involvement, and independence while simultaneously decreasing problem behavior and other barriers to learning. 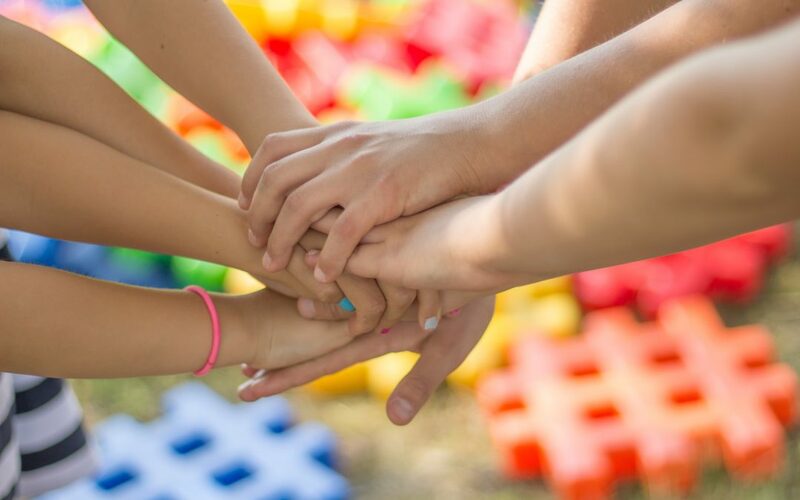 It is our mission to decrease the challenges faced and enhance the lives of individuals with ASD and their families by providing one-to-one instruction, group treatment, education, training, guidance, and resources. 1 – Every patient has the right to effective treatment that is rooted in the evidence-based literature of the science of ABA. Treatment must consist of an in-depth assessment to select goals and objectives which target socially significant behavior. 2 – Every patient has the potential to learn new skills and the right to acquire meaningful repertoires measured by a consistent data collection system and systematic review. 3 – Every patient has the right to programming and treatment which increases access to reinforcers, opportunities for rewarding personal relationships, well-being, productivity, independence, and community involvement while decreasing barriers to learning. 4 – Every patient has the right to treatment that is provided within the context of what is legal, ethical, and best practice. 5 – Parents/caregivers have the right to be involved throughout every facet of the assessment, treatment, transition, and discharge process through effective communication and active participation. 6 – Every patient has the right to a treatment team of qualified, highly trained professionals. 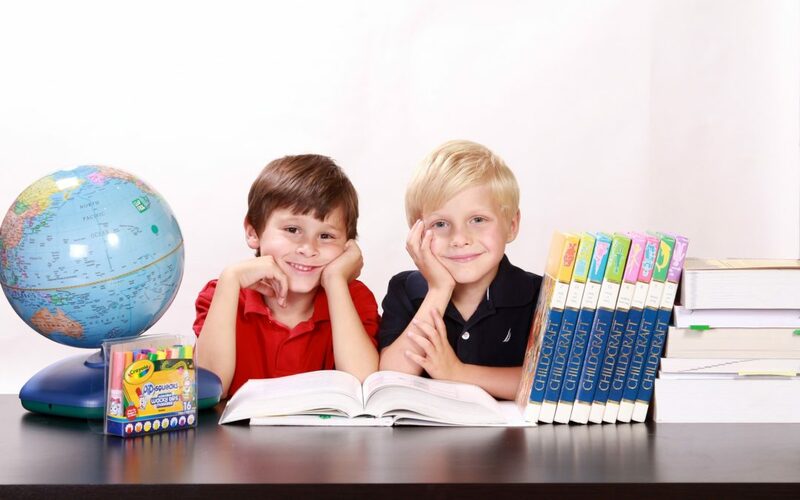 For more information about Attentive Behavior Care and how we can help your child, please contact us today. Congratulations! You are officially a Board Certified Behavior Analyst® (BCBA®). The day has finally come, and you’ve been handed your first case. You are excited! After all, imagine all of the possibilities. All of the potential behaviors to shape, increase, and decrease. You have trained for this and you can’t wait. You want above all else to make a difference! You go and meet your client and their family for the first time. You are professional and courteous. You conduct a skills assessment and go home and develop goals. You are giving this case your all, as you should, and you find yourself devouring the research, ensuring that all of your treatment techniques align with what we know to be evidenced based practice. You create the data sheets. You gather your materials. You feel good, right? A sense of accomplishment that comes with knowing that you are about to change someone’s life envelopes you. You are the team captain, and you have gathered the finest crew available. You have plans to provide ongoing training to the behavior technicians and to your client’s family. You know exactly what to do and where to go as you make plans to lead your team on an expedition that will no doubt take your client on a journey towards independence and a higher quality of life. But are you REALLY making a difference? How do you even begin to answer that question? Well, it’s not the kind of question you can or should answer on your own. Talk to the team, remember, while you may be the BCBA® on this case, you are just one part of this team. Sure, you’ve trained for this and you believe you know what your client needs most, but ultimately you are there to provide a service to your client. Is your client and their family going to be happy with the service rendered? Families have sought out ABA therapy in most instances in order to see the life of their loved ones improved. They want to see a difference. So how do you make that difference? You may have a treatment plan with beautifully written long and short term goals, but are they socially valid? What is social validity? Well plainly put, does anyone care about what you are teaching your client to do? Is it going to better their quality of life? Is the family on board with the goals in the treatment plan and how you plan to achieve those goals? Were the results noteworthy? If social validity is low…well… let’s just say… you may not be making that difference in people’s lives that you strive to make. Social validity is like that secret ingredient of that dish you love so much, and without it, no one is really going to want to go back for seconds. As a BCBA®, you are in an amazing position, armed with powerful behavior altering tools, and within reason there is probably nothing you can’t train. Be sure to never stop asking yourself if you are making a difference. Be the BCBA® who stops and truly listens for that answer. Whenever possible, ask your client what they want to work on, and when that isn’t possible, rely on trusted caregivers to give you as much information as possible. Use evidence based practices and ensure buy-in from the team. Remember, treatment plans should be individualized to the client and that includes the treatment techniques used during treatment. Be the BCBA® who spends the time training the entire team to teach the client relevant and functional skills that will make a difference in their lives. Be the BCBA® whose entire team can confidently say, Yes! This is making a great difference in the client’s life! Are you interested in becoming a BCBA® with Attentive Behavior Care? Apply today! Unfortunately, some commonly held beliefs about Autism, which we know to be untrue, still continue. This lack of understanding can make it difficult for people on the autism spectrum to have their condition recognized and to access the support they need, in addition to compounding the worries of the average parent. The following is a list of 12 myths about autism which aims to expand autism awareness as well as put an and end to any misconceptions. The truth: Autism is a neurodevelopmental disorder that impairs an individual’s ability to communicate and interact with others. There is more than one type of autism caused by different genetic combinations and environmental factors. In children with autism, the brain develops differently to typically developing children, affecting many areas of development. The truth: Children with autism grow up to become adults with autism. 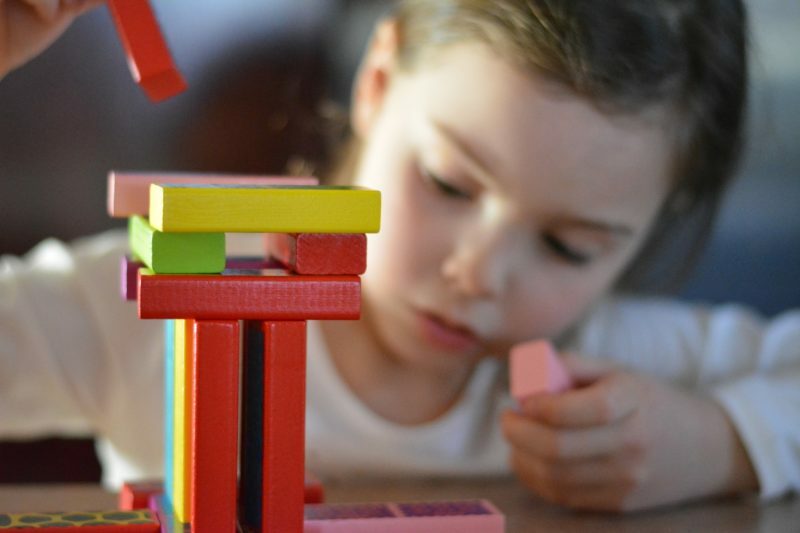 Boys are much more likely to be diagnosed with autism than girls, with ratios ranging from four boys diagnosed to every one girl (http://autismspeaks.org). Girls with autism are more likely to have stronger social skills than boys with autism at the same level of cognitive functioning, and they are more likely to have stronger social interests. 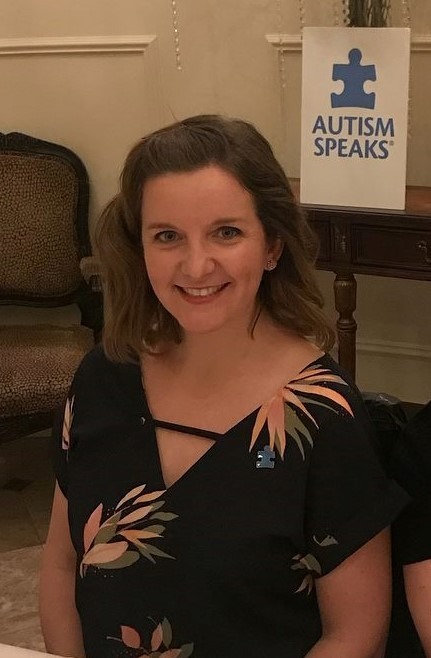 “Being aware of these key differences in boys and girls with higher functioning ASD can help in awareness and identification of girls with ASD” (Audrey Carson, Ph.D., assistant professor of pediatrics-psychology at Baylor). The truth: People with autism may have difficulty expressing emotions, or may express them in a different way. Children with autism experience the full range of emotions. It is common for people with autism to have difficulty identifying and understanding the emotions of others which can lead to misinterpretations. Children with autism can build skills and learn to respond to other people in ways that are more typical or expected. Children with autism can and do show physical affection but often on their own terms. For some children, typical means of showing affection are more difficult, such as maintaining eye contact and physical contact. The truth: Most people with Autism do want to have friends, but have difficulty engaging socially with others, which may make it difficult to interact with peers. 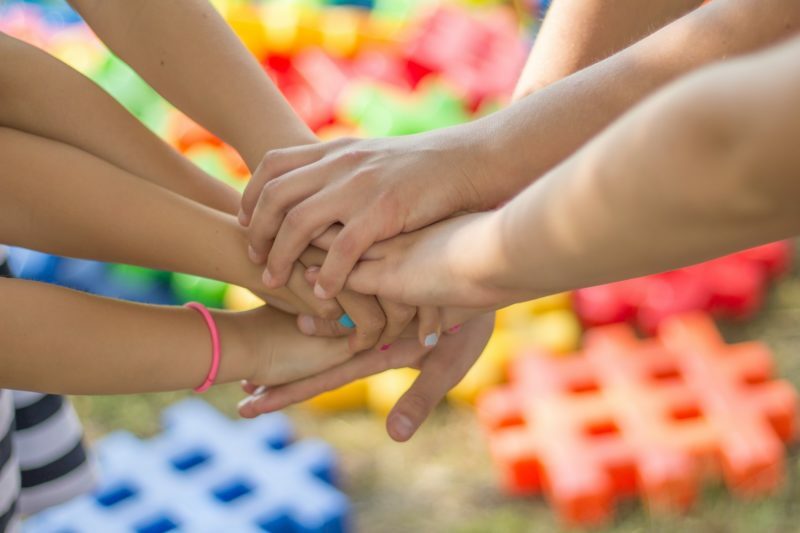 The social skills required to form friendships often need to be taught clearly to children with Autism. The truth: Although many people with Autism do not have other conditions, many do. Research has shown that people with autism also have co-occurring conditions such as Intellectual Disability, Epilepsy, gastro-intestinal disorders, food sensitivities, allergies, and Fragile X Syndrome. The truth: There’s an iconic moment in Rain Man, in which Dustin Hoffman’s autistic character counts in an instant the exact number of cocktail sticks dropped on the floor by the waitress. In other scenes he demonstrates incredible powers of memory and calendar calculation. The success of this film has helped spread the incorrect idea that all or most people with autism are savants. Although many people with autism have amazing “savant” abilities such as extraordinary math or musical skills, the reality is that approximately 10% of the autistic population has an extreme talent or genius level gift (according to the Autism Research Institute), the majority do not. Children with autism have a wide range of IQ scores and skill sets, and every child is different. 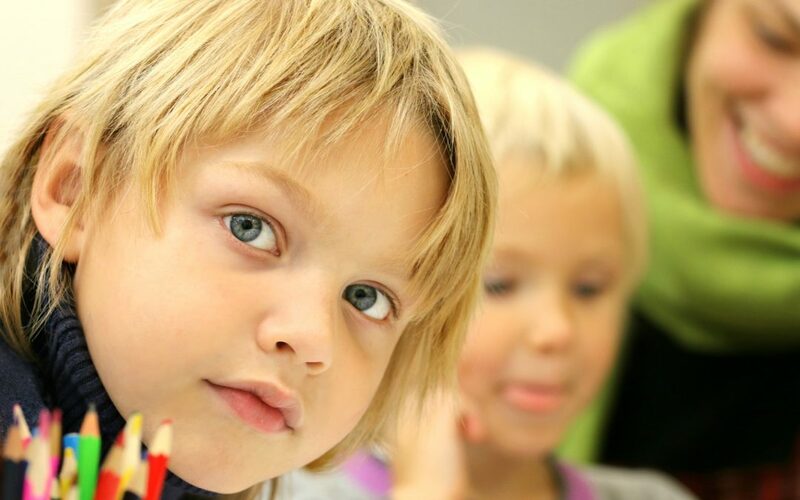 31% of children with ASD have an intellectual disability (intelligence quotient [IQ] <70), 25% are in the borderline range (IQ 71–85), and 44% have IQ scores in the average to above average range (i.e., IQ >85). The truth: There is no reliable scientific evidence that childhood vaccinations cause Autism. There is evidence that not vaccinating children has led to an increase in preventable diseases. In 1998 the British pediatrician Andrew Wakefield and his colleagues published a small story in the respected Lancet medical journal that implied that the MMR (measles-mumps-rubella) vaccine plays a causal role in autism. The Lancet paper was withdrawn in 2010, judged to be flawed and untrue. The same year Wakefield was struck off the doctor’s register after being found guilty of dishonesty and professional misconduct. Several large-scale studies have since examined the possibility of a link between MMR and Autism and have found no evidence to support the link. According to the Autism Society, no single cause (https//www.autism-society.org/what-is/causes) triggers autism. Studies (https//www.cdc.gov/ncbddd/autism.data.html) also show that genetics and other chromosomal disabilities tend to be linked to autism. The truth: Although some children with Autism may have delayed speech or may not use words to communicate, many have very well-developed speech. In fact, some children may speak earlier than typically developing peers, but may have an unusual style of communication, such as overly formal speech or a strong preference to talk about particular subjects. There is a very wide range of skills and abilities among children with autism in relation to speech. The truth: As with other children there are those with autism who may shout or hit when they are distressed, but this is certainly not the case for all children with autism. 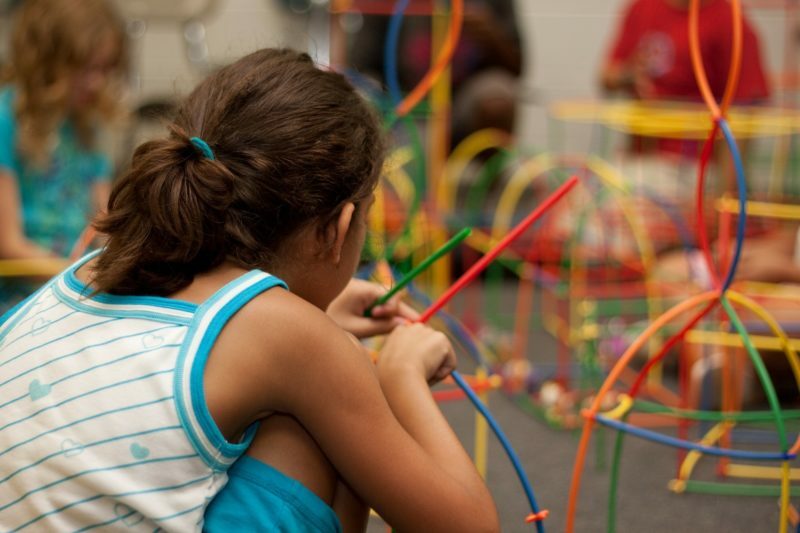 When problem behavior occurs, it is often related to a lack or deficit of alternative skills or difficulties coping in the sensory environment, regulating emotions or communicating needs. According to the Autism Society (http://www/autism-society.org) people with ASD are more likely to be victims of violence than to perpetrate it. 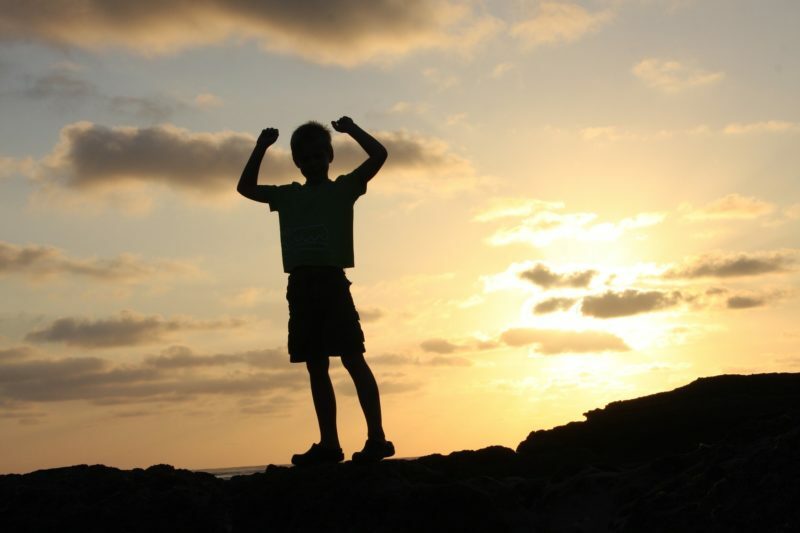 Challenging behaviors are often a communication of last resort. It is rare for a child with autism to intentionally cause harm to another person. The truth: In the 1950’s, a theory called the “refrigerator mother hypothesis” arose suggesting that autism was caused by mothers who lacked emotional warmth. Even though we do not yet know the exact causes of Autism, the research that has been conducted supports the view that parenting style does not cause autism. Because of difficulties with sensory processing and communication, some children with Autism respond negatively to some typical parenting behaviors, such as touch and hugs, and may require direct communication in order to understand others. When parents adapt their behavior to respond to their child’s needs it may appear unusual to others, but it is important not to assume that the parenting style is causing the child’s difficulties. While it is true that autism diagnoses are on the rise, it doesn’t necessarily mean that there are more cases of autism than there have been in the past. The increase is better explained by a broader definition of autism and more efficient diagnostic methods. Before 1980, autism wasn’t considered a diagnosis, but a trait of schizophrenia. Over time, the Diagnostic and Statistical Manual for Mental Disorders (DSM) has expanded its description of autism, and it has reduced the number of traits that doctors need to identify in patients in order to diagnose them as autistic. An autism diagnosis has been expanded to include all spectrum disorders which covers a wide variety of symptoms, severities, and conditions. 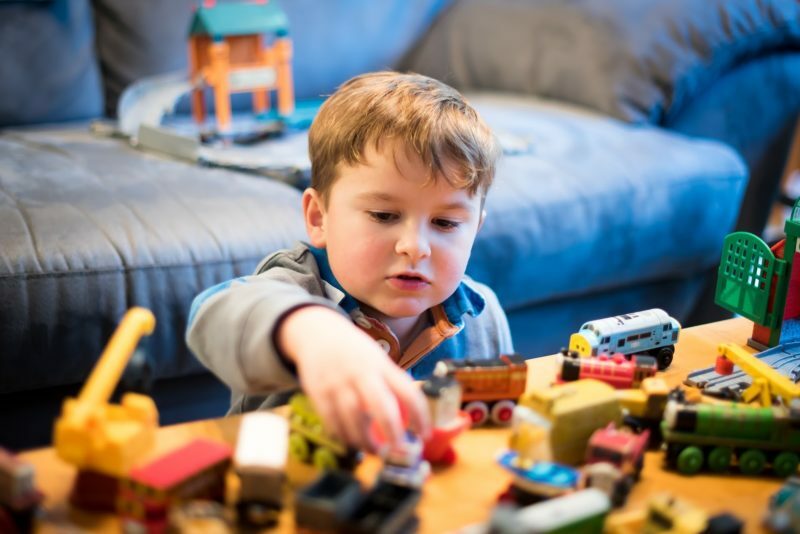 In addition, since the late 1980’s and early 1990’s, awareness has also increased over time; more paents, pediatricians, and educators are learning to recognize the early signs of autism and are more likely to seek an Autism evaluation. 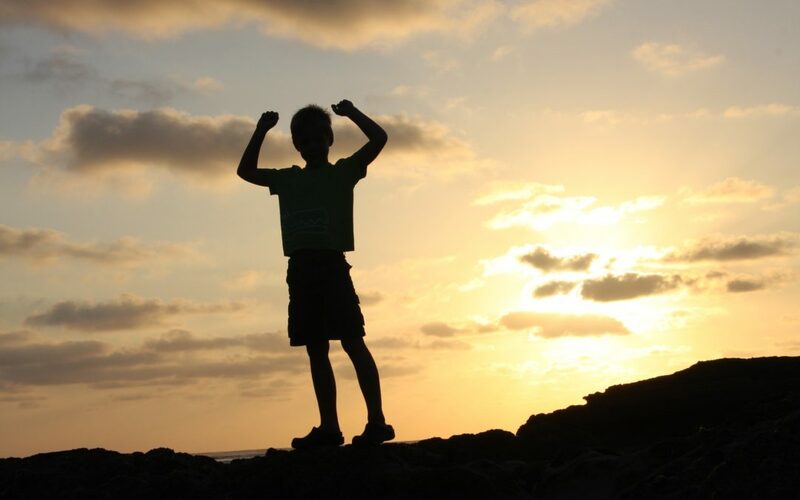 According to Autism Speaks (https//www.autismspeaks.org), “We do know that significant improvement in autism symptoms is most often reported in connection with intensive early intervention. On the other hand, medication can be used to deal with gastrointestinal disorders or problem behaviors that are caused due to autism. 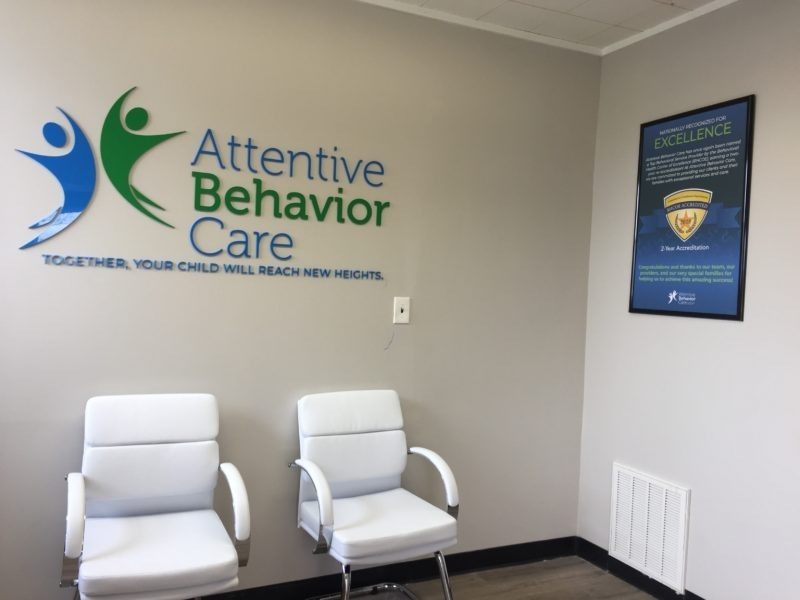 For more information or to discuss how Attentive Behavior Care can help your child, contact us today! Do you sometimes wonder if your child falls on the autism spectrum? Is your child developing at a different rate than his peers or does he have unusual ways of keeping himself occupied? There are a number of indicators that a child may be on the autism spectrum, otherwise known as ASD (Autism Spectrum Disorder). Remember that each child is unique and develops at his own pace. It is normal for each child to have his own quirks and behaviors. However, if you can identify with a number of the symptoms below, you may want to seek a professional opinion and an evaluation. Although it may be hard to face a diagnosis, the sooner a child with ASD starts getting intervention, the better his outcome can be. Does your child have a hard time communicating at an appropriate age level? A younger child with ASD may have a hard time indicating or requesting his needs, while an older child may point or make gestures instead of using language to communicate. Does he have a hard time describing things, getting stuck on unimportant details instead of focusing on the bigger picture? Does he have a hard time making eye contact or engaging in a back and forth conversation? Do you notice that he often gives answers that have little to do with the question being asked? Language deficits, such as non-verbal communication, failure to make back and forth conversation, and not making eye contact can be associated with ASD. Does your child choose to play on his own instead of joining the group activity, whether in class or with a group of friends or siblings? Does he have a hard time engaging in appropriate turn taking during play? Can he play out a pretend story like driving a car to his grandma’s house, getting to grandma’s house and giving her a kiss or does he get stuck in the car driving? Does he have the same way of playing with toys each time he uses them, like lining them up or watching the car wheels spin? Does your child have a hard time with transitions, going from one activity to the next, like stopping to play and getting ready to go to school? Does he have a hard time when there is a change in schedule or plans? Does he get fixated on certain topics that are of interest to him, but not necessarily to anyone else around him? Does he engage in repetitive motor movements or constantly repeat certain phrases? 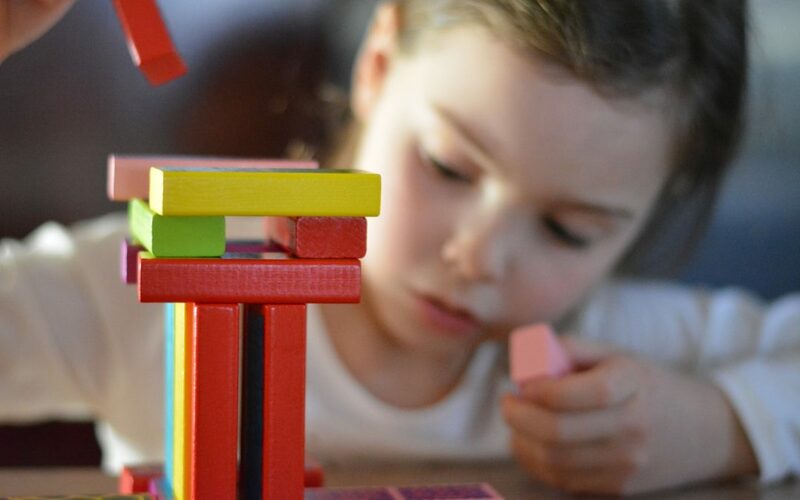 Children with ASD often engage in repetitive stereotypical behavior, inflexible with routines, rigid thinking, and hyper focused on specific topics. Does your child have extreme reactions to noises or textures that others don’t even notice? Does he react adversely to loud noises or regular background noise? Do you find that he is very picky about what he will wear or what texture foods he will eat? Does he seek constant touch or activity? Does he shrink from the touch of others? Perhaps he doesn’t seem to hear or feel what everyone around him is aware of. It is common for children with ASD to have unusual reactions, either overreacting or under-reacting, to noise, textures, lights, smells and tastes. If you do think your child fits into a number of the above criteria, discuss your concerns with your child’s doctor. Ask for a referral to a specialist who can give your child a full evaluation If your child does have a diagnosis of ASD, remember that there is help! Behavioral therapy, otherwise known as ABA therapy, can help your child by addressing the negative behaviors he may engage in and developing the skills he needs to function and become the best he can be. For more information or to discuss how Attentive Behavior Care can help your child, contact us today. ABA stands for Applied Behavior Analysis. ABA is currently the leading treatment which has been scientifically proven to treat the symptoms of Autism Spectrum Disorder. Let’s discuss what ABA is, and why it actually works. The technical definition of ABA is: “The science in which tactics derived from the principles of behavior are applied to improve socially significant behavior and experimentation is used to identify the variables responsible for the improvement in behavior” (*Cooper, Heron & Heward, 2007, p. 20). Let’s break down the key components Cooper is trying to say. Firstly, we address socially significant behaviors. Hold onto that, we’ll come back to it later. Second, we’re talking about using a scientific process to analyze the contingencies that motivate and act on behavior. By understanding the reasons why behaviors are occurring, we can increase all that good stuff we want to see more of, and decrease the things causing challenges for your child and your family. 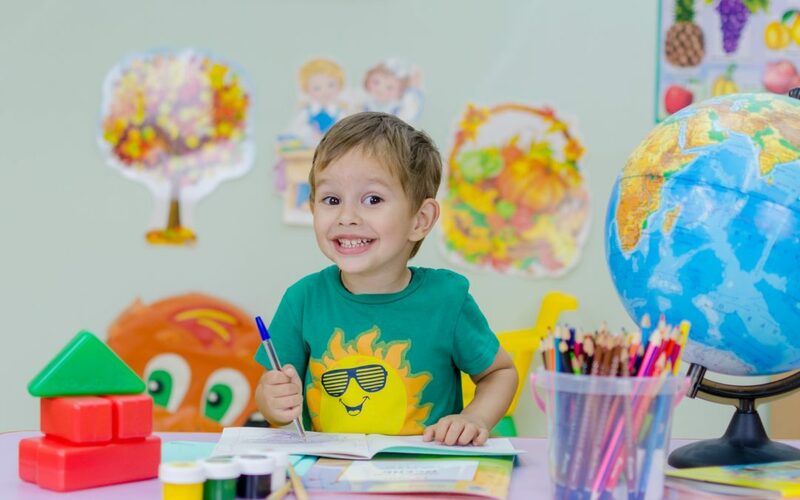 Coming back to social validity: Social validity is a huge component of ABA therapy and is what the Board Certified Behavior Analyst® (BCBA®) working on your child’s case will take into account for every program they design. So what is social validity? Social validity refers to the satisfaction and acceptability of the interventions and procedures effecting behavior change, based on the opinions of the individuals who receive services and implement them. Simply put, this means that YOUR opinion matters and so does YOUR CHILD’s. Yes, you are under the care of highly trained professionals who have done the research and received the training necessary to implement effective strategies and identify behaviors that need to be increased or decreased, but the science is also founded on the opinions of the individuals on the receiving end. Social validity also changes based on factors specific to the individuals receiving services. Cultural, religious, and environmental variables may alter what is socially valid in certain families and certain parts of the world. The main take away from this is that your child’s program is tailored for who he or she is, what he or she needs, and what will make a difference in his or her life. Your child is unique and so are his or her circumstances. The science of ABA understands this and tailors programming to match these needs, ensuring programs and interventions are effective for each and every individual. Now that we’ve learned a little bit about what ABA therapy is, and how it relates to you and your child, let’s talk about some of the specific ways that behavioral interventions are effective. We are going to discuss: functional communication training, antecedent manipulations, generalization, parent training, task analyses, and reinforcement. Functional communication training (FCT) will most likely be a large part of your child’s ABA program. As we know, one symptom of Autism is difficulty with communication and/or language delays. Functional communication training focuses on increasing functional language. Functional in this sense means communication that has a purpose and is practical. For example, if your child hits his or her sibling every time he or she wants to play, or cries each time he or she wants you to pick him or her up, he or she is trying to ask for attention, but in a non-functional way. Crying and hitting are behaviors that ABA would want to target for decrease, while teaching your child a functional response as a replacement. For hitting and crying, we may teach the child to sign the word “play,” to tap their sibling on the shoulder, or verbally say, “Can you play with me.” FCT teaches words, signs or gestures that your child may not currently have, allowing him or her to communicate effectively with you and their environment. Antecedent manipulations refer to changing aspects of an environment in order to either reduce or increase the frequency of a behavior. Many management strategies for problem behavior are focused on how we are reacting to behavior. We refer to this as consequence interventions. However, antecedent interventions are a proactive approach. When it comes to problem behavior, it is often helpful to utilize antecedent strategies to reduce the behavior in order to allow for an opportunity to increase alternative skills. We can use antecedent manipulations to increase functional behaviors. For example, if you give a child a bowl of ice cream but no spoon, they might ask you for a spoon so they can eat the ice cream. However, if you gave them the spoon along with the bowl of ice cream, you would have lost the opportunity to practice functional communication. Creating a lot of situations like this can support a child in the acquisition of functional language because you start with things that they are highly motivated for, and then you can expand to a broader range of language. Antecedent strategies are also common in behavior intervention plans to reduce problem behavior you want to decrease. For example, if a child tends to engage in problem behavior in order to seek attention from a caregiver, you could provide a lot of attention to the child that is not contingent on engaging in problem behavior. By increasing the amount of attention they are receiving, you are reducing their motivation to engage in the problem behavior and it is likely to decrease. With a reduction in the rate of problem behavior, there are more opportunities to teach skills to support that child’s ability to get what they want using appropriate methods. You can teach them to request your attention using a gentle tap on the shoulder and then start ignoring the attention-seeking problem behavior. This combination of interventions results in a “treatment package” that in combination will have lasting results on behavior. Have you ever noticed that your child is able to do something in one environment, but not in another environment? Or maybe they know how to do something with a therapist or babysitter, but have trouble engaging in the same behavior with their teacher or parent? There are a lot of reasons why a child’s behavior may differ across people or environments. One of the ways that this problem can be addressed is through teaching generalization. Generalization means that a behavior is taught in multiple settings or with multiple people in order to help the child utilize the skills in more functional ways. Generalization doesn’t just refer to behaviors in different environments or with different people. It also means that you don’t have to teach every single thing a person encounters in their environment. If you teach a child the word for horse using a picture of a horse, and then they see a horse in real life, they should be able to generalize that instruction to know that the real horse is also called a horse. Many children with autism have trouble generalizing things that they learn to new contexts/people/situations. This can mean that it takes a lot longer to learn because a lot more direct instruction is required. Behavior therapy addresses this by including explicit programming for generalization. A therapist will work with a child on a new skill in multiple environments, with multiple people, and with multiple different examples so generalization can emerge. 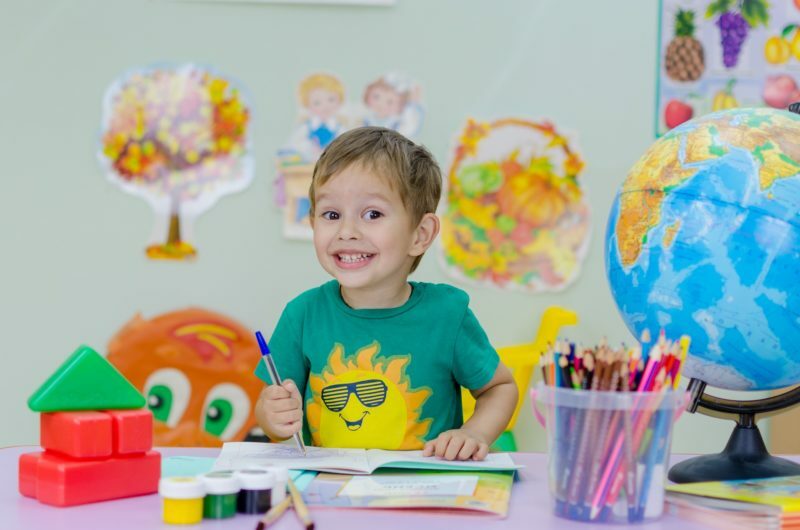 Maybe you’ve noticed that your child comes home from school every day with a glowing report from the teacher, but the minute he or she arrives home, all of the problem behavior that you know so well comes right back. It can be difficult to understand why your child’s behavior can be so different at home than in other environments. Parent training is a critical component of behavior therapy. It ensures that the child is learning consistently across all environments and can support parents in understanding how to respond to difficult situations. Additionally, working with a professional can be helpful in understanding contingencies in the environment that you might not be able to see if you live it every day. Parent training can also support the acquisition of skills that happen outside of therapy time. It is not uncommon for parents to experience challenges with daily routines like getting ready for school, getting ready for bed, mealtimes, and hygiene routines. Parent training allows for a parent or caregiver to work closely with a BCBA® to identify specific challenges in those routines and collaborate on solutions for making everyday situations more manageable. Task analyses are terrific teaching tools and highly effective teaching procedures that break down a task into smaller components. Think recipes. A good chef would not throw you into a kitchen and say, “bake chocolate chip scones” without providing you with a recipe or the steps to do so. Task analyses focus on the same method; breaking down one large task into smaller steps that you can learn independently in order to learn the entire task over time. The possibilities are endless. How do we know these are effective? It allows specific teaching to occur for one or multiple steps that a learner may be struggling with, and ensure all the smaller skills needed to complete a task have been learned and are efficient. Back to our baking example: if you didn’t know how to measure flour or roll out dough, how could you make a scone? These steps would need to be taught before you were expected to follow the scone recipe, and this is where a task analysis (or recipe) would come into play. Task analyses can also help to break down a task that may seem very overwhelming to start. It can be difficult to approach a whole new skill, but if you break it down, then you might find that it isn’t as complicated as you first thought. Reinforcement is the most basic principle of ABA therapy and of behavior in general. Reinforcement is the reward for doing a behavior and will increase how much you do that behavior in the future. Let’s use the example of going to work. You wake up, go to work, come home, and repeat this every day and 5 days per week. Why? Odds are it’s because you are getting paid. Each time your paycheck hits your account, you are reinforced for the behavior of showing up to work, so you continue to do it. The list goes on and on. Reinforcement has been proven to shape appropriate, functional behaviors and is an essential part of every ABA program. ABA therapy is unique in that it uses scientific principles to analyze specific behaviors and the specific contingencies that surround those behaviors. Other therapies seek to address significant challenges in an individual’s life, but may lack the analytic power to understand those challenges in the same ways. These techniques are the core of many behavioral interventions. 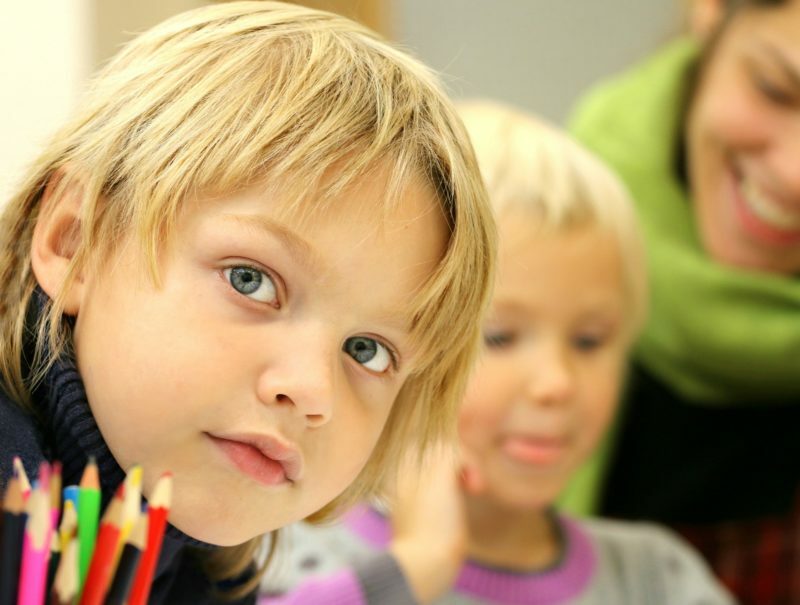 However, every child receives an individualized plan based on their unique needs. This means, that you can be sure that your child is being supported in the exact way he or she needs. It also means that there’s lots of room for parent and family involvement. Behavioral therapy can help, and we can help show you how! Contact Attentive Behavior care today for more information. * Cooper, John O., Heron, Timothy E. Heward, William L.. (2007). Applied behavior analysis. Upper Saddle River, N.J.: Pearson/Merrill-Prentice Hall. I got into this field to help people. I wanted to make a difference, to help make a positive impact on people’s lives. And a day doesn’t go by that I am not reminded in some way that I made the right decision. When a mom calls me Monday morning to tell me they had a tantrum free weekend, or when I get a text that Johnny let dad brush his teeth, when the child that used to throw herself on the floor when her tablet was removed even briefly independently goes to the work area when the therapist arrives ready to do work, when parents convey to me that their child’s teachers are noticing a positive change, when the child that had a single word in his repertoire a year ago now has over a hundred words and growing, and when week after week I see our children mastering goal after goal, I know I made the right decision. I know ABA is an effective therapy. I have lived and breathed it for over 16 years, but it’s when the parents I work with tell me they see the positive changes ABA therapy made in their child’s behavior and skills, and in their family’s life, I know I made the right decision. It’s not an easy job and it’s certainly not a glamorous job, but it is immensely rewarding. However, it is also a job where we, the professionals are often isolated. Where the treatment team consists of the child (our client), his or her parents/caregivers, the therapist and the supervisor. At least this is the model I have encountered in many organizations that provide ABA services to children with ASD and their families. It wasn’t until I started working for Attentive Behavior Care that I encountered a different model. Where the child, their family, and their ABA providers are part of a greater family. An organization that cares about them, and about their child’s progress. They care about helping them overcome their challenges and celebrates their successes. From the case coordinators who work tirelessly to match families with providers and ensure that each child is receiving top notch ABA services, to recruiters who carefully vet providers, to the clinical team that oversees treatment, to all the folks behind the scenes, every single person in our organization has one purpose in sight. To provide the best possible ABA therapy to each and every child. I’ve lost count how many times parents tell me how happy they are that the case coordinator checked in with them, making sure they were happy with their services, and how many parents have told me how much they appreciate that their treatment providers go above and beyond for their child. Do you think your loved one could also benefit from ABA therapy? Enroll today or contact us for more information.